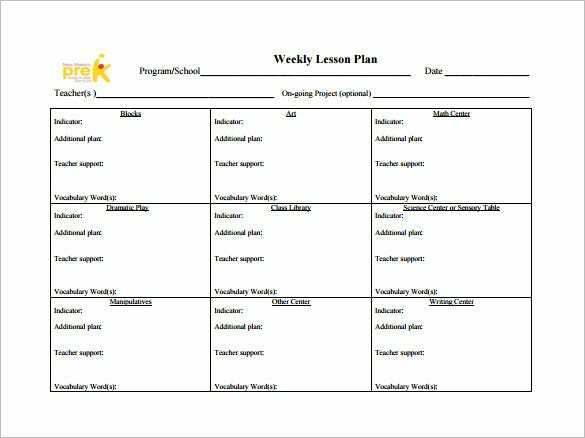 Weekly Lesson Plan Template – 8+ Free Word, Excel, PDF Format Download! Teaching needs teachers to be fully prepared with the lesson in question so that they can deliver it right. 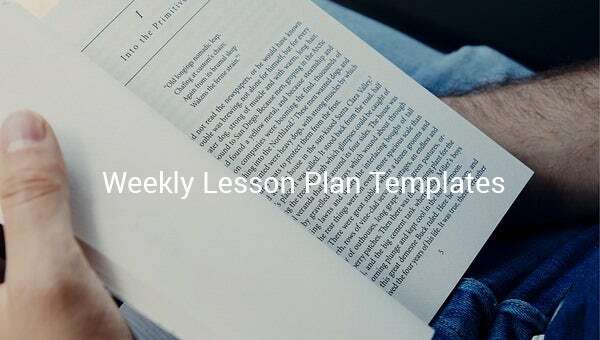 To finish all the lessons on time and to see to it that they are all done to perfection, one needs to make a plan, preferably for every week.A weekly lesson plan template is a plan that is made out by most teachers of the world for this very purpose – to get all the lessons of their week to perfection. It is basically a plan that consists of what lessons should be taught every day of a week. 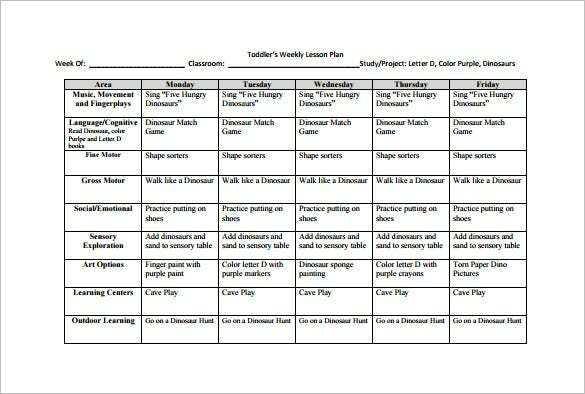 You may also Like Toddler Lesson Plan Templates. 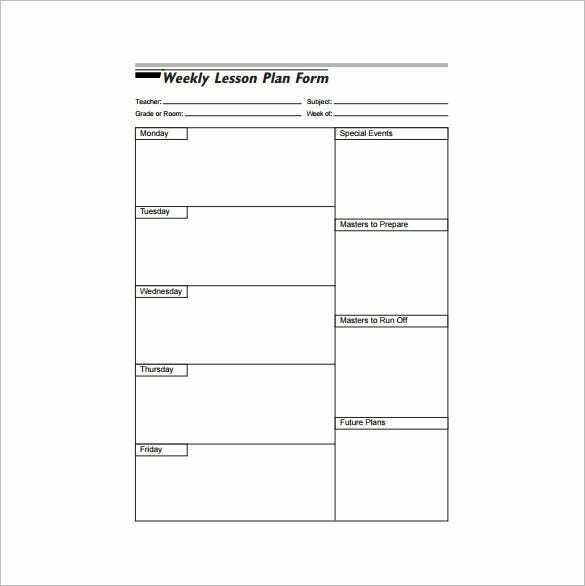 This weekly preschool lesson plan begins with the list of different subjects to be taught on the left side of the template. The right side is about the lessons to be covered each day, under every study area. 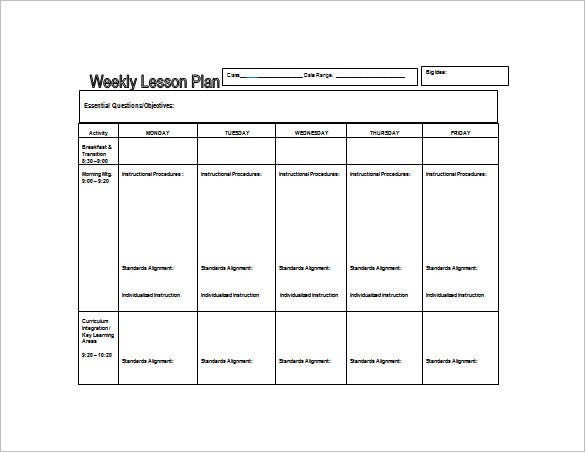 websites.pdesas.org | This weekly lesson plan template begins with a list of activities to be completed at the left side. 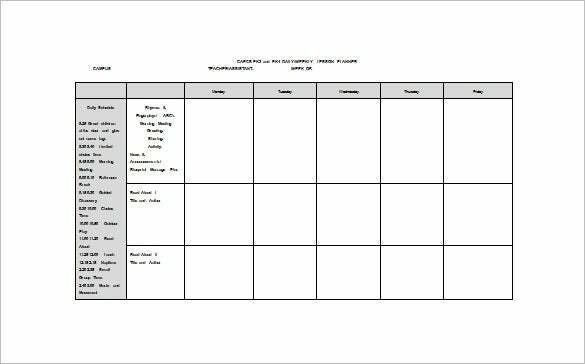 The other columns on the template are about the different steps to be followed under every activity throughout the week. 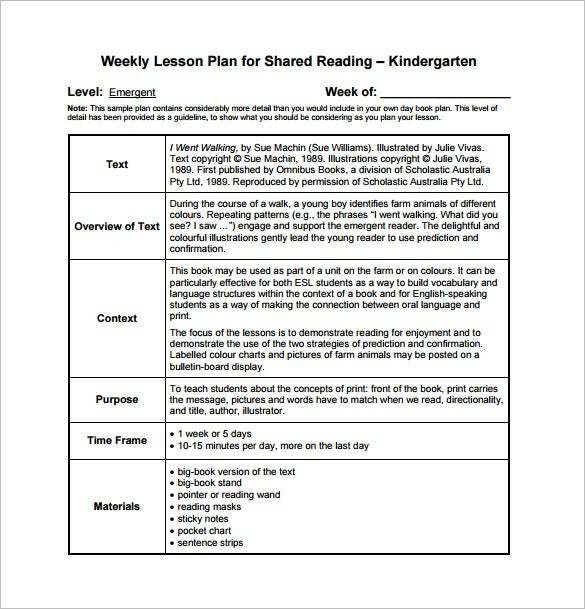 eworkshop.on.ca | This is a lesson plan for shared reading. Here you have the main parameters of the plan like name of the text, text overview, context, purpose, timeframe & materials listed on the left and the related information on each is at right. socorro.k12.nm.us | This weekly lesson plan is for the teachers which is divided into several groups as per the subjects to be taught. Each box includes information on teacher support, additional plan and vocabulary activity. cradles2crayonsllc.com | This weekly lesson plan for toddlers has got the subject area to be taught at the left hand side while the right is about the topics to be included each day of the week. 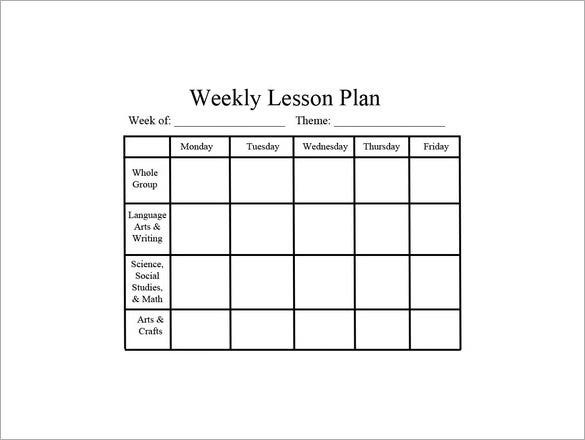 A weekly lesson plan is designed based on the teacher’s necessity. 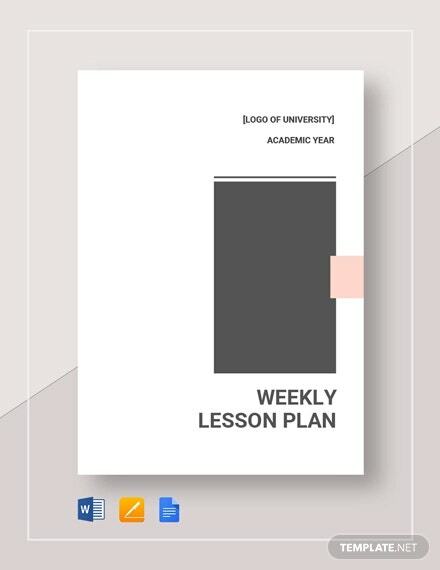 Before you download one of the Sample Lesson Plan Templates that we have got for free, you should know what a plan such as that is usually made up of. 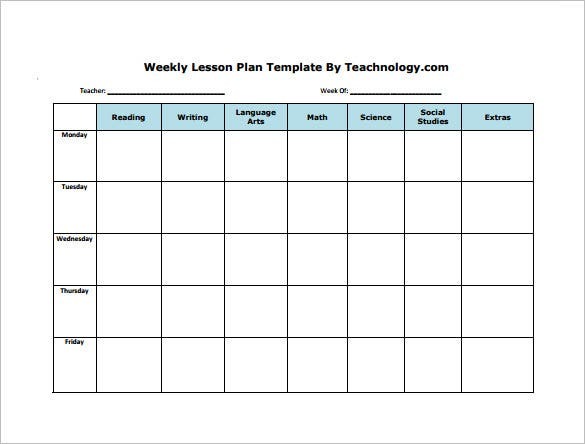 Here are all the components of a weekly lesson plan listed out. If you have any DMCA issues on this post, please contact us!